PIOMA Performance Fitness is a vibrant & growing studio in Middletown, Maryland which provides high-quality, effective personal Pilates instruction, Yoga, Personal Training, training with Kettlebells, and the Feldenkrais Method. PIOMA also offers an Equestrian Pilates class which teaches balance, strength and flexibility, all key elements of an effective equestrian. 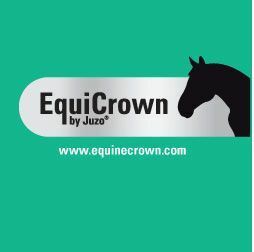 EquiCrown® are medical compression bandages for horses. They are characterized by their anatomically perfect fit and precisely defined compression pressure, which contributes to faster drainage of lymphatic fluid and therefore removal of unwanted toxins. These breathable bandages are available as standard-size or custom-made items. 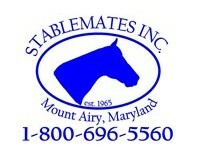 Located in Mount Airy, Maryland, Stablemates has been a family-owned and operated tack store since 1965. They stock a large variety of products for both English and Western riders at all skill levels. They have a great selection for all your eventing needs, whether you need a new watch, whip, or even a muck tub. Plus their supplement selection is quite extensive. What better way to comparison shop, than to have all your options right in front of you. And if for some reason they don’t have your product in the store, they’ll simply order it for you. Voltaire Design: The Voltaire Design mission is to help everyone fulfill their full potential. Their goal is to not only sell high-end products to their customers, but to work with each rider to craft for them a product that will help improve their riding. Voltaire Design relies on the long French tradition of saddle making. But Voltaire Design is also the first saddle maker to get help from the fashion industry in the designing of their product. RIDE SAFE is a sports medical ID bracelet that is designed to be worn all day every day by equestrians on or off the farm working with or around horses. In addition, it is also designed to eventually replace the current medical armbands worn in eventing to create an easier and more comfortable medical ID.When an emergency happens, time is critical and the RIDE SAFE ID bracelet will allow first responders, friends, and family immediate access to your secure medical history and contact information to facilitate rapid medical response and therapy. Net Power Consulting has helped the Rock Solid web site develop over the years. Check out their web site for your web development needs! Since the very beginning, Katie’s parents have been there to support her competitive career. Whether allowing her to operate out of their farm in Middletown, Maryland, or buying her that first horse, without them, Katie would not be where she is today. A long time friend and investor, Barbara was kind enough to lease me The Dealmaker, my first Preliminary horse. When not busy practicing law, she can be found out competing herself, still at the Preliminary level. Barbara was the one that introduced me to my long time trainer Packy McGaughen. She recently invested in Ralphie who was recently sold to a top hunter barn in New Jersey. Mike is always there to help when my computer wants to fight with me about entries or printing pictures. He has been an incredible help over with years at shows, whether he’s taking photos or going on food runs. He’s invested in Baywatch and Gem, both sold into the hunter/jumper world.